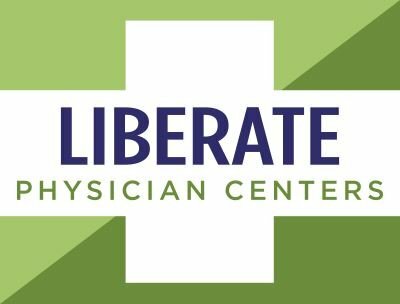 The Liberate team in Port Charlotte are experienced, knowledgeable, caring professionals who will treat you with respect and who know how to get results fast! Dr. Benzing is board certified in Emergency Medicine and has served the Venice and Englewood area for 20 years. She believes that optimal health and function requires attention to the patient as an individual, adhering to the basic principles of empathy and knowledge. She is a long time medical marijuana advocate and has recently dedicated her full time practice to the study and treatment of patients who could benefit from medical cannabis. She has established Liberate Physicians of Venice to serve the local community. Deirdre joined the Liberate team in June 2019 as Office Manager and Patient Advocate. Deirdre is originally from South Africa, but has spent her adult life in Southwest Florida. She joined the the team with a background in marketing, office and event management. Deirdre is new to the medical cannabis industry but is passionate about the benefits and relief that medical cannabis provides her patients. Ashley is a Florida native, born and raised in Charlotte County and is a Charlotte High School Graduate. After graduating, she married her high school sweetheart and relocated to Kentucky for the next eight years. She returned to Charlotte County in 2011. When she is not at home with her two dogs or spending time with her family, she can be found at the NHRA drag races, her passion in life! Ashley spent eight years as a pharmacy technician and the past seven years in the customer service industry. She is eager to to share the benefits of medical marijuana with patients and loves to hear the success stories of patients who already use medicinal marijuana!